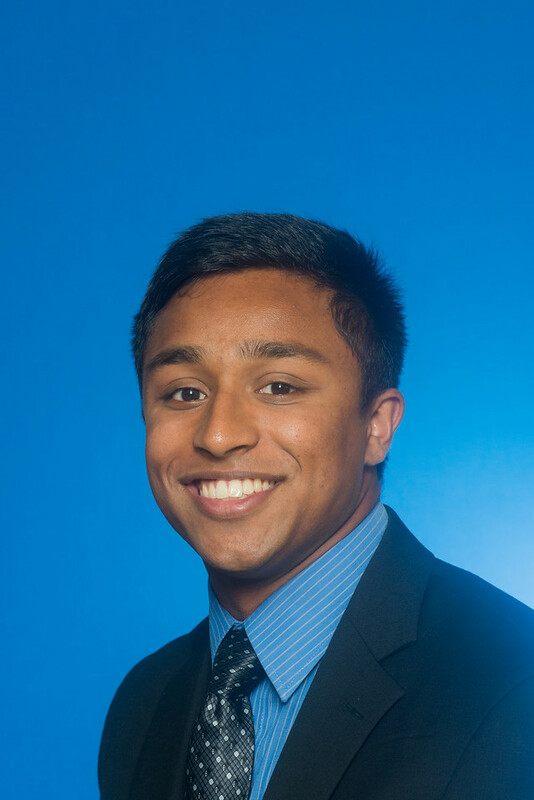 Shan Antony, a junior from Mishawaka, Ind., is a recipient of the Rural Health Scholarship, which is a highly competitive scholarship to prepare students to work in rural areas as a primary care physician. He is also the recipient of the Richard D. Spear Scholarship. The Spears established an endowed scholarship in memory of their son, Rick, an Indiana State alumnus. Antony attends regular meetings for his scholarship and every summer has requirements to meet. After his freshman year, he conducted research through the Summer Undergraduate Research Experience. This past summer he was responsible for shadowing different physicians for at least 100 hours. He is the president of Pre-Medicine Association and the vice president of finances for Timmy Global Health. "I am excited about the education I am getting and am happy I can use it to better the community," Antony said. Besides being heavily involved in his major, Antony makes time to play with the ultimate Frisbee team and partakes in the Intervarsity Christian Fellowship group on campus. 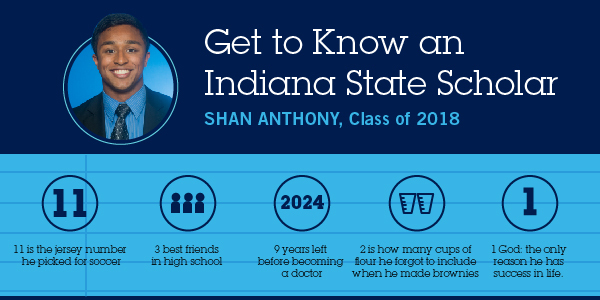 Antony is a health sciences major with a concentration in health administration. In two years, he will be applying for medical school. How do you celebrate the things you do in your life? "I tell family and my close friends. I try to share those experiences with them and then I definitely take some time to thank God. There is nothing that I have done that qualifies me to get a scholarship like this one and get the opportunities that I do. Anything I have, I owe to God. "I don't come from a huge blood-related family. I only have one younger brother and an older sister, but my small church family basically raised me. Actually, cheesy as it may sound, I enjoy giving back to them.This last summer I had a chance to teach Sunday School to the kids in church, and it was definitely fulfilling to know that when I was there age there were people looking out for me -- now I could return the favor for the next generation." "Disappointing my parents and family. My biggest fear is not doing everything I can to make sure the people I love know the love of Jesus. If I am successful in every other aspect of my life but don't share my faith with the people I care about the most, my life will have had no meaning." What is your idea of a perfect vacation? "I want to go to New Zealand to hike for one week straight with family and friends. I don't know if there is a name for it, but I call it parkour hiking, when you go and find the rocky trails and complete them as fast as you can." If you only had six months to live, what would you do with your time? "Well first, I would drop out of school and go spend time with my sister, brother and girlfriend. Then, I would spread the love of God to most people I can."